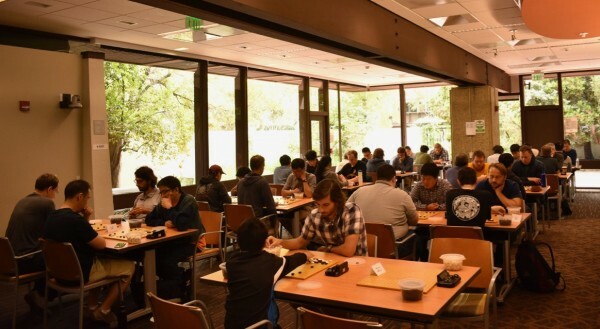 The Mountain View (California) Go Club hosted its first tournament on September 29th at the Palo Alto public library. Forty players filled the available space to compete in three rounds. One factor contributing to the large turnout is the growing go scene in the South SF Bay area, which is home to many tech companies. The Bay Area Go Players Association hosts regular tournaments in San Francisco and Berkeley, but this is the first tournament in the South Bay in several years. For six players, this was their first tournament. Hajin Lee 4P went 3-0 to win her third tournament of the year. Going forward, the MVGC plans to host quarterly tournaments.